Good leadership is essential to the creation of a a good organisational culture and influencing change. Members of the Bahamas Bureau of Standards and Quality management are shown below. Dion Alexander Foulkes was born in Nassau, The Bahamas on 9 October, 1956. He is the second child of H. E. Sir Arthur Foulkes and the late Naomi Foulkes, nee Higgs. He was educated at St Thomas More Primary School and R.M. Bailey High School, Nassau and has a Bachelor of Science Degree from Indiana University where he studied accounting and political science. He was employed at City Bank, Nassau, where he was Euro Dollar Department Supervisor and also worked in the hotel industry before reading law. He was called to The Bahamas Bar in 1990. Mr. Foulkes was elected to the House of Assembly in 1992 and in 1997 representing the Constituency of Blue Hills. He has served as Chairman of the Hotel Licensing Board and also as Minister of State for Education, Minister of Labour and Maritime Affairs, Minister of Education, Youth and Sports and Minister of Labour and Social Development. During a previous term in the Senate he was Leader of Government Business. He was appointed to the Senate in May 2017 and was made Minister of Labour. Mr. Foulkes was an organizer and shop steward with the Bahamas Hotel Catering and Allied Workers Union. He is a founding member of the Torchbearers Association of the Free National Movement. In the FNM he held the posts of Assistant Secretary General, Secretary General, Chairman and Deputy Leader. Mr. Foulkes is married to the former Emma Jane Thompson of Crown Haven, Abaco. They have five children and five grandchildren. His religion is Roman Catholic and his interests include stamp collecting, photography, and bird-watching. The BBSQ is governed by a nine member Standards Council appointed by the Minister and headed by the Chairman and Executive Director (Ex Officio) with responsibility for Standards matters. The Chairperson of the council reports to the Minister. 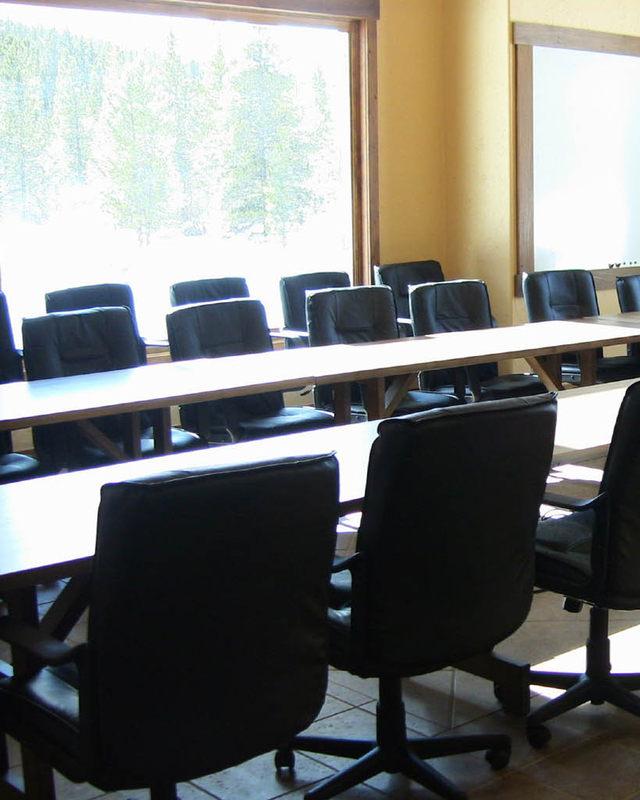 This council is delegated to provide a satisfactory level of oversight and also govern the policy direction of the BBSQ. Its membership is representative of stakeholders from key economic sectors. 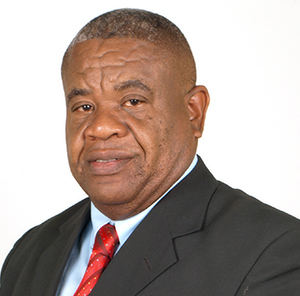 Mr. Aaron Brice, Owner of Epic Battery & Tire Limited, a member of The Bahamas China Friendship Association and current board member of The Bahamas Chamber of Commerce and Employers Confederation, currently serves as the Chairman of The Bahamas Bureau of Standards and Quality Board (BBSQ). BBSQ’s board is comprised of a group of professionals who have a wealth of experience and, headed by Chairman Brice, are striving to significantly improve best practices and advance national development through the promotion and facilitation of quality services in The Bahamas. This involves BBSQ’s teams developing standards to improve quality and visiting businesses like food stores, ports, pharmacies and gas stations to ensure compliance with standards, to protect consumers and the environment. 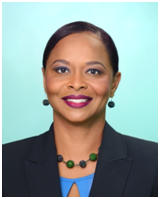 Dr. Renae Ferguson-Bufford was appointed the executive director of The Bahamas Bureau of Standards and Quality (BBSQ). In her capacity, she oversees the national implementation of Quality Management Systems (QMS), particularly with regard to Standards, Legal Metrology and Conformity Assessments all in the collective effort of promoting effective and efficient uses of standardization methods and tools in The Bahamas. At the BBSQ, Dr. Bufford is supported by a 14 member technical and administrative staff complement. During her tenure, three vital standards were enacted with regard to providing national standards for bottled water, food manufacturing and processing in The Bahamas. In addition to assisting with advising the government on critical pieces legislation and also the administration of policy on Quality and Standards in The Bahamas, her role is to represent the BBSQ at general assemblies, workshops and conferences locally, regionally and internationally, particularly through partnerships with The Bahamas Manufacturers Association; The Bahamas Chamber of Commerce and Employers Federation; CARICOM’s Regional Organisation of Standards and Quality (CROSQ) Council Meetings; the International Organization for Standardization (ISO); the Pan American Standards Commission (COPANT); the Caribbean Network of Conformity Assessment Bodies (CANCAB); and the Inter-American Metrology System (SIM). Prior to Dr. Bufford’s appointment as the Director of the BBSQ, she worked as a Research Scientist, holding professorships at Morehouse College and Clark Atlanta University. Dr. Buford has an extensive track record in academia in the applied sciences throughout The United States of America and in The Bahamas. Dr. Ferguson-Bufford received a Doctor of Philosophy designation in Science and Education at Georgia State University in 2004, she also holds dual Master’s of Science Degrees in Science Education and Biological Research, 1995 and a Bachelor of Science Degree in Biology and Chemistry, 1991 from Clark Atlanta University. The Administration Division is responsible for providing and maintaining the administrative services of BBSQ. The Administration Division is divided into four (4) sections: Human Resource, Finance, Registry and Information Technology. The Human Resource Unit will manage and implement its human resources management programmes through recruitment of the Bureau’s personnel, safety, employee’s relations, compensation and benefits, and training and development. The Finance Unit will guide the overall financial operations of BBSQ; that is procurement of materials/ equipment, maintaining accurate accounting records to provide transparency of all financial transactions, preparation of budget for the Bureau’s needs, and ensuring security of BBSQ’s assets. The Registry Unit will manage all records of BBSQ to ensure efficiency, economy, systematic control, security, and easy retrievability. The Information Technology Unit will assist in planning, operating and supporting the infrastructure of the BBSQ, and enabling all users to carry out their roles efficiently, productively and securely. Standards Development Division is responsible for the preparation, promotion, and maintenance of standards in relation to goods, services, processes and practices locally or imported for the advancement of local and foreign trade. The Division manages and coordinates the work of technical committees, encompassing representatives of related stakeholder groups and technical experts that contribute to the overall national standards development. Training Department of BBSQ (Projected for 2018) will provide quality education to organizations, ministries, and other interested parties, on the requirements of key management systems. The BBSQ will offer training courses, seminars and workshops designed around shared needs of various groups within the private and public sectors. The Marketing and Public Relations Division is responsible for maintaining BBSQ’s image and communicating its message to its customers, private and public stakeholders, and consumers. The Science & Technology Division will be responsible for analytical services. Regulatory Division is responsible for providing accuracy in regulation of all weights and measurement activities in the Commonwealth of The Bahamas (Weights and Measures Act of 2006). It will be divided into two (2) sections: Legal Metrology and Conformity Assessment. The Legal Metrology Unit will ensure accuracy of measuring instruments used in trade, health, safety and the environment, and also in maintaining a level of confidence for manufacturers and consumers in the quantities of goods offered for sale. The Conformity Assessment Unit will perform inspections/market surveillance of locally manufactured and imported non-food products and product samples, and also for advising officers from Customs department, importers, traders and retailers on legal requirements of the local market. Product Certification (Projected EOY 2017) will be a part of the Conformity Assessment Scheme. The Department is responsible for implementation of the national certification scheme that provides assurance that products, services and processes meet national standards/specifications that comply with regionally and internationally accepted standards. This national certification scheme’s aim is to improve the quality and competitiveness of the products and services manufactured in The Bahamas.